UC Santa Barbara chemical engineering professor Samir Mitragotri has been elected to the National Academy of Medicine. Mitragotri joins 79 new members chosen by the organization in recognition of their professional achievement and commitment to service. The announcement was made today at the academy's annual meeting in Washington, DC. "We could not be more proud that Professor Mitragotri has been selected to join the distinguished ranks of another of our nation's most prestigious academies," said UCSB Chancellor Henry T. Yang. "This elite honor comes on the heels of Samir's election last year to the National Academy of Engineering, further recognizing his groundbreaking research on the development of novel drug delivery methods. Our campus joins Professor Mitragotri in celebrating this magnificent achievement — election to NAM as well as dual academy membership." 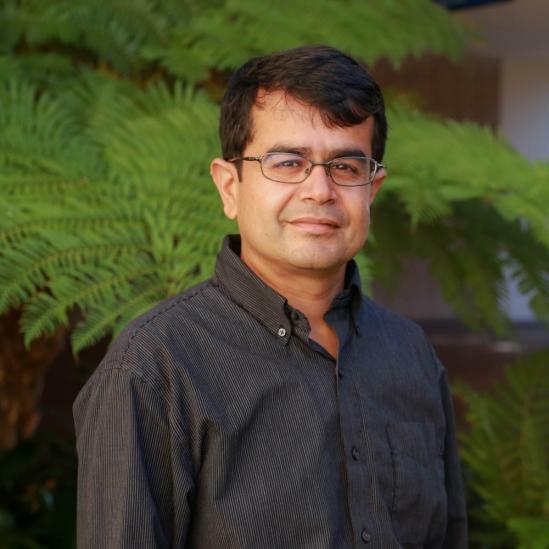 Mitragotri, who holds the Duncan and Suzanne Mellichamp Chair in Systems Biology at UCSB, has developed a variety of materials and technologies for the diagnoses and treatment of numerous illnesses, including diabetes, cardiovascular diseases, skin diseases and infectious diseases. Among his contributions are noninvasive methods such as skin and transdermal drug delivery; intestinal and oral alternatives for traditionally injected protein-based treatments such as insulin and calcitonin; and synthetic analogs to blood components that can both carry out the functions of their natural counterparts and deliver medicines. In addition, he has created nanoparticles that can target tumors in the treatment of cancer. Several of his inventions have been translated into clinical products. "I am thrilled and humbled to receive this honor," said Mitragotri. "This election validates the impactful role of engineering in medicine and health. I am delighted to join the academy and look forward to contributing to its mission of advising the nation on important health and medical issues. "I am thankful to my students and post-docs whose dedication and hard work are responsible for this honor," he continued. "I am also grateful for UCSB's collaborative environment that nurtures an innovative cross-disciplinary approach, which is essential for addressing challenging problems in health and medicine." Mitragotri joined the UCSB faculty in 2001 as an assistant professor in the College of Engineering's Department of Chemical Engineering. Since then he has been appointed a director of the college's Translational Medicine Research Laboratories and a professor in the Biomolecular Science and Engineering program. He is a founding director for the Center for Bioengineering and a professor of biology in the College of Creative Studies, as well as in the campus's Technology Management Program. "It is an honor to count Samir among my colleagues," said Rachel Segalman, chair of the Department of Chemical Engineering. "His work at the interface of chemical and biological engineering with applications in drug delivery is not only ground breaking, but is a phenomenal example of modern chemical engineering in taking molecular understanding of how systems work and applying it to solving real problems with an incredibly broad implications. Samir's simultaneously fundamental and impactful approach to drug delivery is magnificent and it is wonderful to see it recognized by his election to multiple national academies." Mitragotri also is active with other academic endeavors, including service on the editorial boards of several journals. He is an associate editor for the Journal of Controlled Release and founding editor-in-chief of the journal Bioengineering & Translational Medicine. Mitragotri has received numerous honors throughout his career, including the Junior Faculty Research Incentive Award, the Outstanding Faculty Award and the Chancellor's Award for Excellence in Undergraduate Research — all from UCSB. He also has received awards for his novel technologies, including the Global Indus Technovator Award and the Popular Science Best of New Award. Mitragotri is an elected fellow of the American Institute of Medical and Biological Engineering, the American Association for the Advancement of Science, the National Academy of Inventors, the National Academy of Engineering, the Controlled Release Society, the Biomedical Engineering Society and the American Association of Pharmaceutical Scientists.